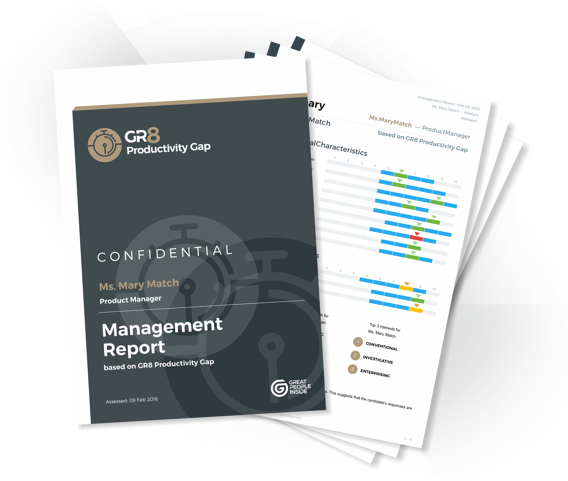 The GR8 Productivity Gap is a great tool for showcasing the evolution of any given employee over time. By contrasting two assessments made before and after training, it allows you to analyse both your employees’ development and their involvement in the process as well. With that in mind, this assessment can then be used as an instrument for streamlining employee development and talent management programmes.